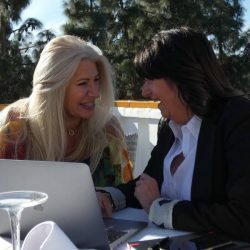 With a wealth of experience behind them in corporate finance, Kathleen and Glenda have joined forces to create “Get Inspired Marbella”. A business that provides the tools to individuals and companies, seeking to achieve personal and business goals. We offer practical help and advice through 1:1 and group consultations, workshops and retreats held in the UK, Gibraltar and Marbella. Topics covered include “5 steps to personal success” and the “Business Success Roadmap”. Kathleen and Glenda both believe in the motto - “Follow your Passion”. Kathleen is a peak performance strategist who passionately believes that personal development is fundamental to personal and professional growth. After spending over 20 years in the world of corporate IT and Finance as a Management Consultant, Kathleen became frustrated with just trading time for money and not living the authentic life she was always teaching her clients to live. This was a catalyst in her decision to make a massive change so she studied Hypnotherapy and NLP and launched The KP Success Academy. These days she still keeps a foot in the world of corporate but by adding these skills into the workplace she now mentors individuals and teams helping them understand what their true purpose is. This in turn helps them operate more efficiently, by understanding where their areas of strength are to help them perform to the best of their ability using her ‘5 Steps to Success’. Kathleen is also an avid network marketer who loves the freedom, flexibility and fabulous opportunities for growth that the business provides and truly believes that networking is an essential key to success. Glenda brings the practical and organising element to the business and to clients. 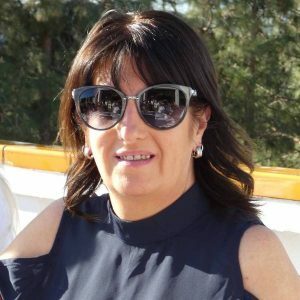 With experience of running her own Accountancy Practice in the UK, relocating and setting up businesses in Spain and Gibraltar, she has knowledge of accountancy and tax regulations in all 3 jurisdictions as well as offshore locations such as Hong Kong. She can advise on the best location and structure of a business, help to create business plans and devise systems to ensure the administration side of running a business is as efficient as possible. This allows the owner to concentrate on growing the business knowing the administration is streamlined and efficient. This is the “Business Success Roadmap”. Through her wide network of contacts she can also assist with introductions to Lawyers, Company Incorporation and Management and Banking professionals. Glenda’s other business interests include her Pilates and Yoga studio where she teaches Pilates, riding her horses on her Ranch and mentoring young female entrepreneurs.